HOUSTON – UTHealth students named Albert Schweitzer Fellows for the 2017-18 academic year were celebrated for completion of their yearlong Fellowship projects on April 12 at the Albert Schweitzer Fellowship Annual Celebration of Service. Fellows shared the details of their community-based projects with attendees before being recognized individually for their accomplishments. 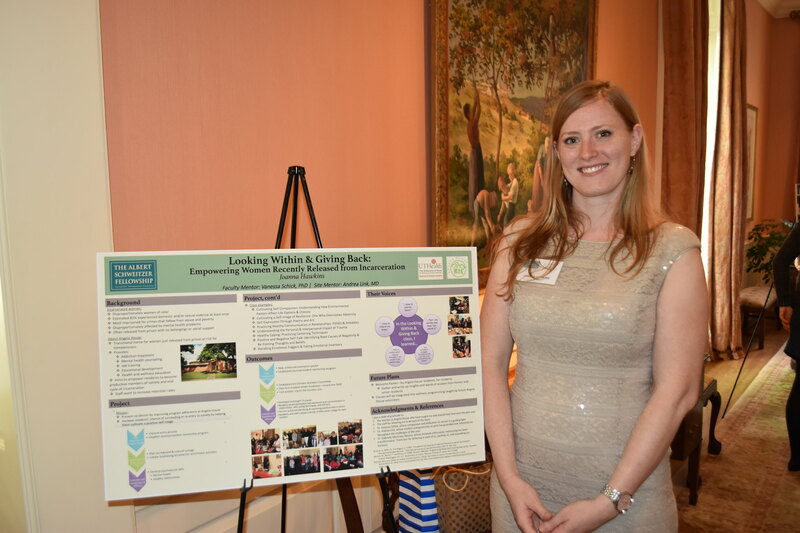 The celebration was held at the Junior League of Houston, Inc.
Each Fellow partnered with a community-based organization to identify an unmet health need. They then designed a yearlong, 200-hour service project with a demonstrable impact on that need, and were charged with bringing that project from idea to implementation and impact, all in addition to their academic studies. This year’s fellows were Sanjana Puri (School of Public Health), Smridhi Mahajan (McGovern Medical School), Margaret Wang (McGovern Medical School), Jennifer Holcomb (School of Public Health), Amber Ansari (School of Public Health), Joanna Hawkins (School of Public Health), Ala Daghestani (School of Dentistry) and Layla Daoudi (School of Dentistry). 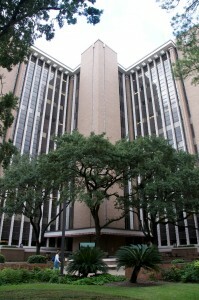 Launched in 2008 as a collaboration of area academic institutions and community-based agencies, The Albert Schweitzer Fellowship – Houston Galveston (ASFHG) selects and supports local students to carry on the legacy of Albert Schweitzer, M.D., by addressing the unmet health needs of vulnerable and marginal populations. ASFHG is a community-based, mentored, direct service, multidisciplinary, leadership development program that works to improve the health and well-being of underserved communities across Greater Houston and Galveston. Schweitzer was a surgeon, pastor of a congregation, administrator of a village, superintendent of buildings and grounds, writer of scholarly books, commentator on contemporary history and a trained musician. He was awarded the 1952 Nobel Peace prize for his humanitarian work at his hospital at Lambaréné in Africa.